Washington, D.C. – The nation’s leading advocacy group for entrepreneurs praised trade negotiators for reaching a “new NAFTA” agreement. The trade deal – the U.S.-Mexico-Canada Agreement (USMCA) – embeds important provisions for small businesses, and Small Business & Entrepreneurship Council (SBE Council) president & CEO Karen Kerrigan said this modern accord addresses key issues and barriers that will help to facilitate market expansion into Canada and Mexico, and general commerce between the countries. “As we have noted previously, an agreement that includes both Canada and Mexico is one that will create stability and growth for cross-border commerce. Maintaining the trilateral deal is particularly important for entrepreneurs and small business, as navigating one set of rules is more efficient than dealing with two. We applaud President Trump and his team for going the distance with our trading partners and getting a trilateral deal done,” said Kerrigan. 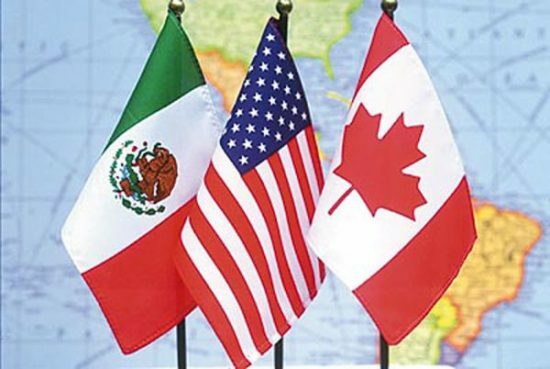 SBE Council is currently reading the full details and text of the USMCA agreement and is pleased to see modernized provisions that will directly help entrepreneurs and small businesses, such as: strong intellectual property protections, an increase in the de minimis level of shipment value leading to the reduction of costs, a new digital trade chapter that recognizes and takes into account the vast and growing digital economy, and more opportunities for small farmers and food-businesses to export into Canada and Mexico. “As SBE Council reads through the text of this agreement, we will pay close attention to how all provisions work together to lower barriers and costs and enable more small businesses to trade with Canada and Mexico,” added Kerrigan. FACT SHEETS on each chapter of the USCMA can be found on the United States Trade Representative’s website.